Diplomatico aged rums are produced in Venezuela by Destilerias Unidas and are ranked consistently among the finest South American rums. This Venezuelan dark golden rum is rich, sweet and fruity and enhances the molasses flavor of this Hispaniola cigar I smoked it with. 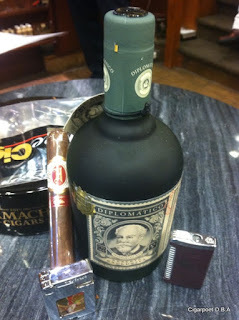 Thanks to Hispaniola cigars for introducing me with this fine rum to go with the cigar.